It's festival week here in Madrid. The patron saint of the city, San Isidro, is being celebrated this week and there are all sorts of crazy things going on. Puppeteers in the streets, music and dancing in the plazas, parades, fireworks, you name it! We have a schedule of events and so we've been striking out here and there, seeing the things we think would appeal to the kiddos. The fireworks show was incredible! I think the best I've ever seen. Josh thought it was especially neat that in one day here we saw bears making love at the zoo, watched our kids watch, and somewhat understand, Spanish puppets, and walked two blocks from our home to an awesome park to see fireworks over the lake. Except for when we don't. Like most days when I fail to understand simple sentences. 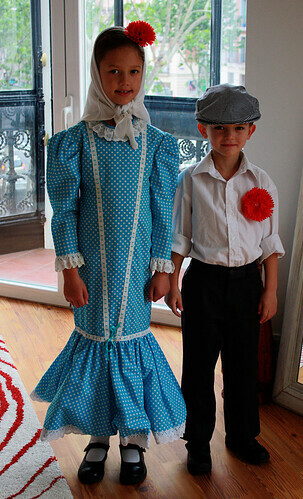 Today the kids went to school dressed in old-fashioned madrileño clothing, como chulapos. 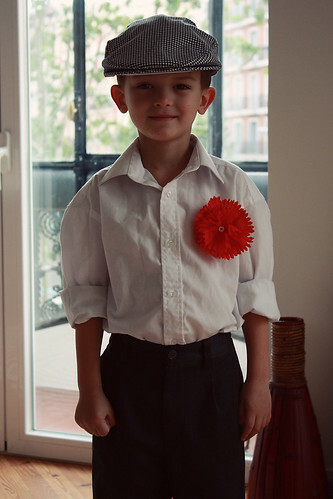 I don't want to just come out and say he's the cutest little boy ever, but you can bet I'm thinking it. In other news, we had Alex's second parent-teacher conference yesterday and thankfully it went much better than the first one. The key word this time was "better" and we'll take it! She's understanding a lot more Spanish, but is still hesitant to speak it. But her teacher thinks she's on track and given a little more time, will start speaking as well. 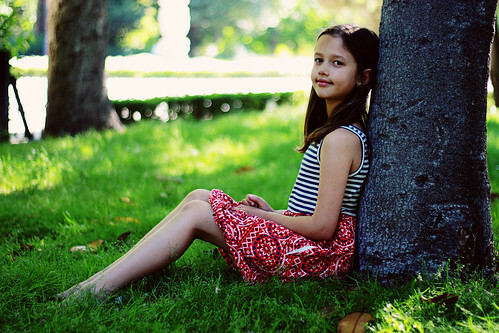 We're trying to arrange for a Spanish tutor for the summer for both kids, so they can keep making progress. I'm still enjoying the class that I attend twice a week. It's always interesting and fun, even if occasionally overwhelming. It's taught only in Spanish since the students are international. There is one other American in the class, and then people from Russia, Ireland, Germany, Italy, China, and Brazil. So if we want to communicate between ourselves, it has to be in Spanish. And the instructor obviously doesn't speak all of those languages, so when someone asks for clarification on a word, he talks around it in Spanish and gives a description or examples. 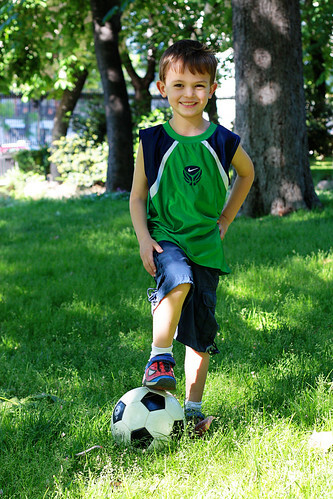 Had to snap one of our little futbolista. That has got to be the cutest picture of Derek I have seen! The Spanish know how to do fireworks! !